The cost and frequency of auto insurance claims are rising. To help cover these costs and ensure you and your assets are properly protected, auto insurance rates are increasing industry-wide. 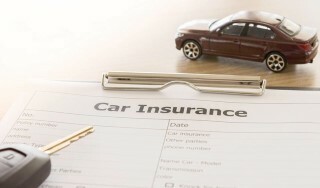 Here are some of the reasons behind rising car insurance premiums, along with what you can do to help manage your rates. Lower gas prices in recent years mean many American families can afford to drive more. But increased time on the road leads to more accidents and more insurance claims, and insurance rates are adjusting throughout the country to better cover these expected costs. For the safety of you and your family, always make sure you are following good driving habits: Buckle up and obey all traffic laws, such as speed limits, traffic signals and stop signs, and put your smart devices away when you’re behind the wheel. Turn your phone and other smart devices off so you’re not tempted to glance at a notification or incoming call. Even a glance takes your eyes off the road and could lead to danger. According to a State Farm survey, almost one-third of drivers access the internet while driving, and 10 percent record video with their phones. Even voice-activated car commands can divert cognitive abilities and attention. Rethink using the phone while driving, and don’t attempt anything else, such as eating or changing radio stations or podcasts. If you have a teen, be sure to talk with them about safe driving habits: The highest proportion of distracted drivers involved in fatal crashes are 15- to 19-year-olds. Parking sensors, lane-departure warnings, and even stronger materials are now widely available on many vehicles. While those smarter sensors and stronger devices can help improve safety, they are also more expensive to repair. Since 2005, the cost of body work has risen nearly 40 percent more than overall inflation, and the size of collision claims increased 8.2 percent from 2014 to 2016. Take advantage of available discounts by calling your agent and reviewing your policy. Evaluate how increasing your deductible would reduce your monthly premium. Consider taking a defensive driving course or decreasing coverage on older vehicles. 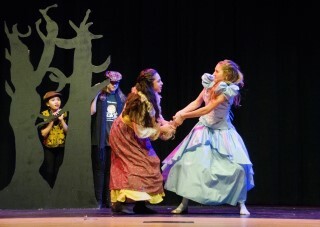 "Into The Woods, Jr." presented by the Windham Middle School Drama Club finish the last of eight shows last weekend. 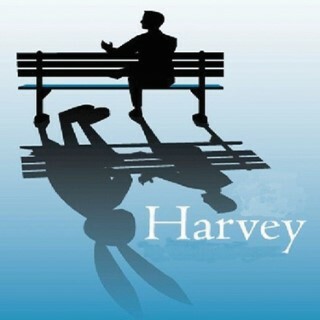 Schoolhouse Arts Center (SAC) is announcing auditions for “Harvey”, their first production of the 2018 season, directed by Chris Roberts and assistant directed by Hollie Pryor. When Elwood P. Dowd starts to introduce his imaginary friend Harvey, a six and a-half-foot tall invisible rabbit, to guests at a party, his sister Veta discovers she has seen as much of his eccentric behavior as she can tolerate. She decides to have him committed to a sanitarium to spare her daughter, Myrtle Mae, from future embarrassment. Problems arise when Veta is mistakenly assumed to be on the verge of lunacy when she explains to doctors that living with Elwood's hallucination have caused her to see Harvey also! The doctors commit Veta instead of Elwood, but when the truth comes out, the search is on for Elwood and his invisible companion. When he arrives at the sanitarium looking for his lost friend Harvey, Veta realizes that maybe Harvey isn't so bad after all. Auditions will consist of cold readings from the script. Please be prepared to list any conflicts. Auditions will be held at Schoolhouse Arts Center, 16 Richville Road, Standish, ME. Auditions: Friday, February 9 from 6:30 p.m. to 8 p.m. and Saturday, February 10 from 3 p.m. to 5 p.m.
Callbacks: Sunday February 11 from 3 p.m. to 5 p.m. 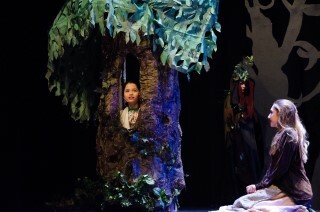 Performances: April 13, 14, 15, 20, 21, 22. We are seeking to cast 6 male actors (ages late teens through 50+) and 6 female actors (late teens through 60+). All roles are available. Elwood P. Dowd: the central character of the play, a friendly eccentric who spends his days and nights in the taverns of his unnamed town. Elwood's best friend is Harvey, an invisible six and a half-foot tall rabbit. Veta Louise Simmons: Elwood's sister who is becoming undone by her brother's relationship with the invisible Harvey. She decides to have Elwood committed to a sanitarium to spare the family any further embarrassment. However, the easily flustered Veta ends up being committed when she confesses that she too feels that she sometimes “sees” Harvey. Myrtle Mae Simmons: Myrtle lives with her widowed mother Veta in her Uncle Elwood's home. Unmarried and eager to meet eligible men but believes her uncle’s peculiar behavior is ruining her chances. Ethel Chauvenet: An old friend of the family. She is a member of the town's social circle, which Veta wants her daughter Myrtle Mae to break into. Dr. William B. Chumley: An esteemed psychiatrist and the head of the sanitarium, Chumley's Rest, to which Veta has Elwood taken. He is a difficult, exacting man, feared by his subordinates, unwilling to tolerate his mistakes. Judge Omar Gaffney: An old family friend of the Dowd’s, a representative of the people in town who are accustomed to seeing Elwood talking to Harvey and who do not think anything of it. Nurse Ruth Kelly: An attractive young nurse with a crush on the handsome but obtuse psychiatrist Dr. Sanderson. She is charmed by Elwood's courtly ways. Dr. Lyman Sanderson: Young, but a very qualified psychiatrist; Dr. Chumley has picked him out of the twelve possible assistants that he tried. He is just as infatuated with Nurse Kelly as she is with him, but he only reveals his concern indirectly. Wilson: The muscle of Chumley’s Rest, a devoted orderly responsible for handling the patients who will not cooperate voluntarily. E. J. Lofgren: Lofgren is the cab driver who regularly takes patients to and from Chumley’s Rest - and sees the negative results. Cateress/Maid: Works for the Simmons household. If you have questions please check our web site at www.schoolhousearts.org or email Directors Chris Roberts at chrisroberts.me@gmail.com or Hollie Pryor at hollie.pryor29@yahoo.com. 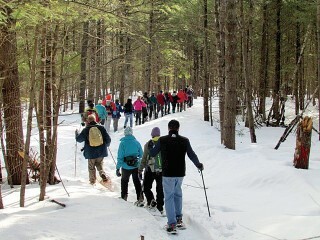 Loon Echo Land Trust staff will provide a popular snowshoe hike at the Intervale Forest in Harrison on Saturday, January 20 at 9 a.m. The Intervale Forest is part of the spectacular Crooked River Preserve. Participants will be exploring the interior of this unique parcel, where careful timber management has occurred for generations. Loon Echo Biologist Paul Miller will help identify winter birds of the Intervale and will also “name those tracks!” of winter creatures found within the preserve if conditions allow. The tour will work its way to the amazing Crooked River. Along the way, the leaders will discuss the Sebago Salmon and the importance of the Crooked River to this world-famous species. The entrance to the Intervale parcel is located on Scribners Mills Road in Harrison, a half mile west of the Crooked River if coming from Otisfield, or 7/10th of a mile east of Maple Ridge Road from the west. Guests should bring snowshoes, warm layers of clothing, water and snacks. Loon Echo Land Trust protects land in seven towns in the northern Sebago Lake region of Maine including Raymond Community Forest. Its mission is to conserve the region’s natural resources and character for current and future generations. Loon Echo protects 6700 acres of land and manages 31 miles of trails that are open to the public for walking, hiking, cross country skiing, snowshoeing, hunting and fishing as well as snowmobiling and ATV’ing on certain designated trails. For more information about this event, contact Jon Evans at stewardship@lelt.org For more information about other Loon Echo Events, please visit lelt.org or call the office located in Bridgton at (207) 647-4352. The Presumpscot Regional Land Trust will provide a Full Moon Snowshoe Excursion on Saturday, January 27 at 4:30 p.m. at Randall Orchards in Standish. The hike will begin at the farm at sunset and participants will head out to explore the nearly 500-acres of conserved orchard and forest while snowshoeing in the moonlight. After the walk, PRLT will be serving hot cider from apples grown and pressed on-site at the orchard. 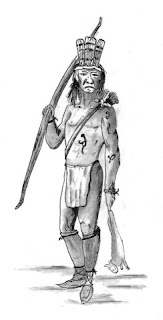 In 1623 the English explorer Christopher Levett sailed into Casco Bay and up to the first falls of the Presumpscot River where he ingratiated himself with the local natives. So amicable was the encounter that he was invited to return with his family to live with the Presumpscot band. What had happened in the intervening decades to cause such a monumental shift in relations between the English and the indigenous people? Today, many Lakes Region citizens, and probably most school children, are familiar with the redoubtable Chief Polin who commanded a small band of natives along the shores of the Presumpscot River and Lake Sebago in the mid-1700s. Initially, Polin tried peace and agreement with the intrusive habits of the encroaching white settlers. But when talk and intimidation failed, he turned to raids of destruction to preserve a way of life. Simply put, misunderstandings, greed and disrespect prevented mutual trust between the two sides. Acrimony began soon after Levitt’s first encounter at Presumpscot Falls. The major difficulty was cultural differences. It’s instructive to understand the world view of indigenous people who had inhabited the northeast for over 11,000 years. They were connected by rivers and tributaries, by the seasonal cycles and by a unique appreciation of nature. Bands (or families) would move in concert with these rhythms, planting and fishing near the coast in summer, hunting inland in winter. Lifestyles reflected the give and take of the land – never using more than needed and utilizing all, a resource to avoid waste. Through stories and celebrations, their custom of interdependence was passed on to succeeding generations. This sense of one-with-the-land was not shared by the colonial settlers. Sebagoland and the Presumpscot basin, ripe with resources, would be invaded by a multitude of English entrepreneurs. Dams were built to power sawmills and grist mills. The ancient forests became fodder for a hungry European market. The tall white pine was cut for the masts of the Royal Navy. Numerous other species were cleared for the sale of firewood and lumber. Using nets and weirs, hundreds of pounds of smelts and alewives were harvested as the fish stalled in their run upstream by the Presumpscot Falls dam, ironically where Christopher Levett had cultivated friendly relations with the natives decades earlier. As the number of settlements grew, control over the land by the indigenous peoples diminished. In 1739, Chief Polin traveled to Boston with several of his “counselors.” He would petition Gov. Belcher for fishways around the dams to restore a food source. And he would call for a halt to the increasing number of settlers. Who was Polin? And to which tribe (or nation) was he associated? 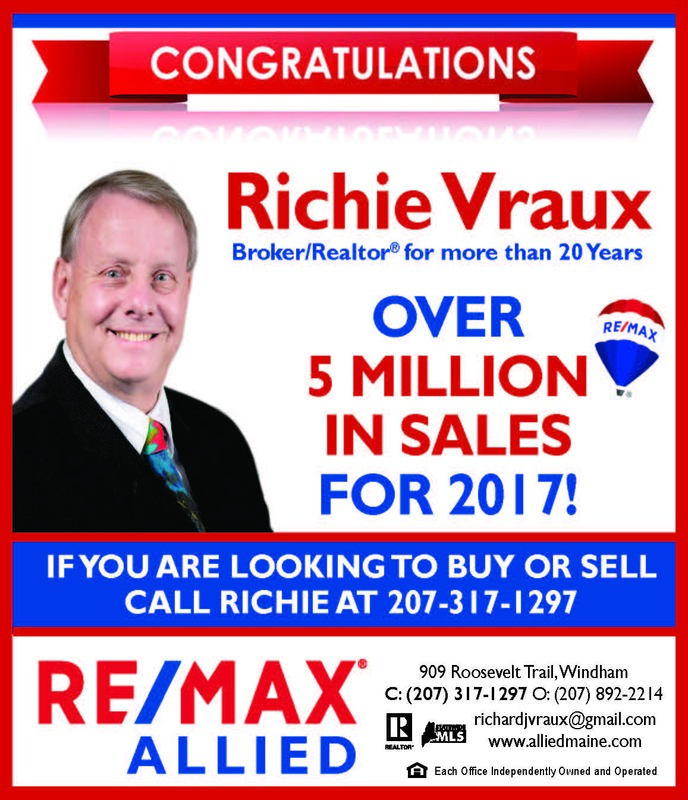 In our next installment we’ll learn that it’s a matter of historical record that he would have a profound effect on the new township of New Marblehead (Windham).